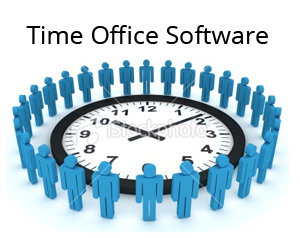 Star Time Office Software is developed keeping in mind the work structure of any company and corporate. This software helps you to streamline the workforce by keeping their track records of attendance, leaves and Over times. It helps you to manage the group, section or department. As a whole it gives you a perfect way to manage the records of employees without any hassle. In fact, this software is user-friendly, as its options and other tabs are easy to manage while the it generate the reports in excel file. Star Time Office Software is developed with unique features which makes it more worthy. It allows the user to set the leave accrual policy, shift timings (for round-the-clock operations) ,etc. This software helps the HR to reduce the managing cost while increasing the efficiency. This software also eliminates the hassle of expensive hardware installations and messy paper works .And the most important feature of Star Time Office Software is that it is a Web based application. Being web based application allows this software to be accessed from any part of the world with an internet enabled device. Process has been converted to service from exe.